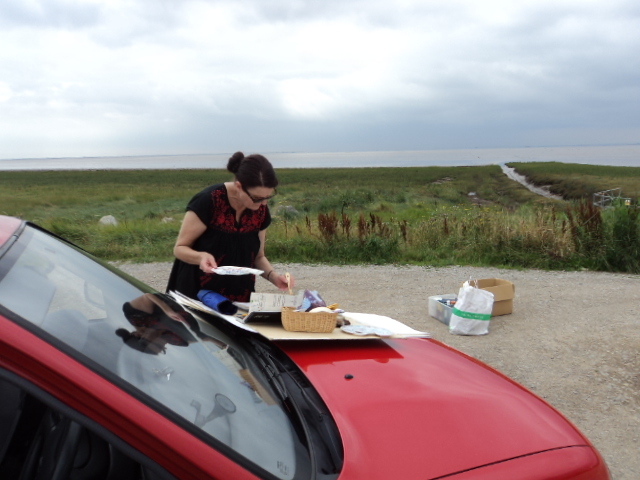 Today I took a picnic and my painting kit down to the remote Skeffling Clays, one of the last access point to the Humber before Spurn Point. The panorama there is vast and the sky is wide open and dramatic. The Grimsby skyline add a sense of scale and focus with the dock cranes, Italianate tower and high rise flats. 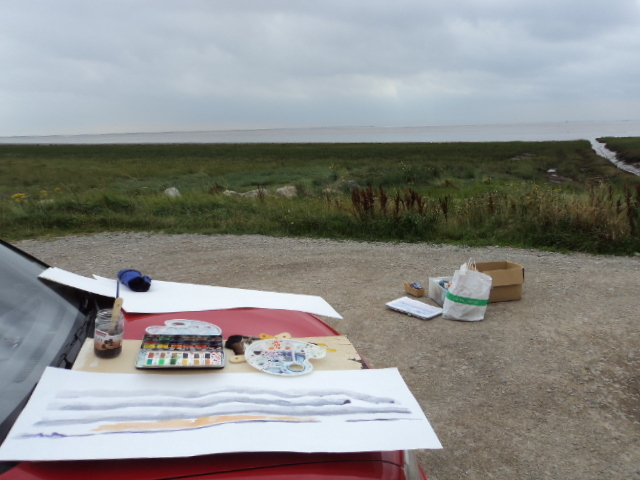 These all faded in and out of view as the elements slowly moved across, the horixon line changing in colour from dark violet to soft violets and blue greys. There were moody low rain clouds sweeping across the south bank I was trying to capture. 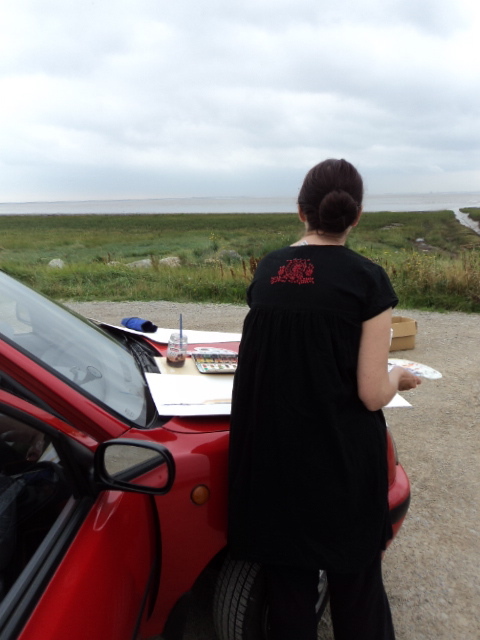 The light over Spurn Point was also striking with a pinky orange glow appearing on the horizon. 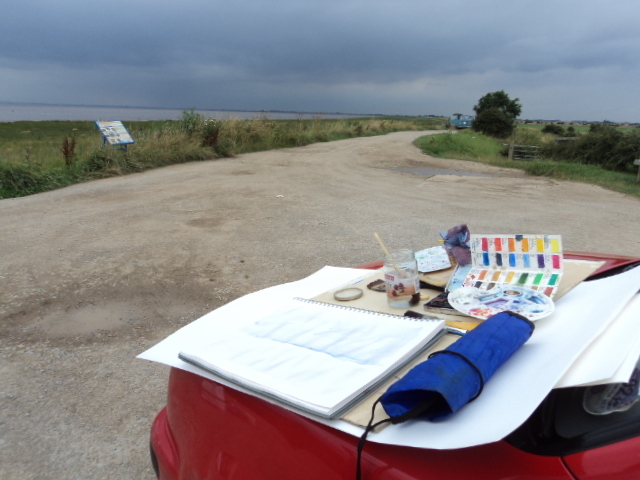 This entry was posted in Practice and tagged East Riding of Yorkshire, en plein air, Holderness, Humber, landscape, Skeffling Clays, Spurn Point, the elements, Watercolor painting, Watercolour, weather. Bookmark the permalink.